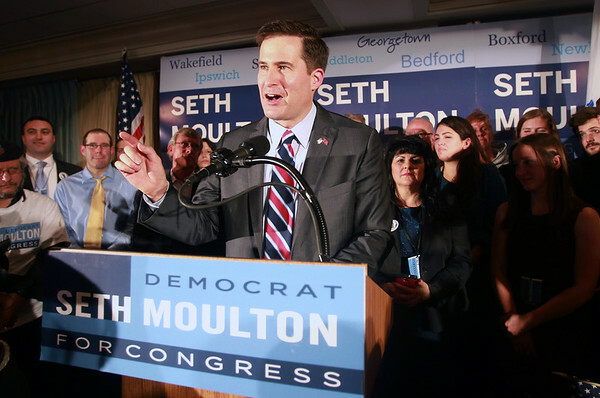 Newly elected 6th District Congressman Seth Moulton thanks his supporters packed into the the Salem Waterfront Hotel on Tuesday evening after he defeated Republican opponent Richard Tisei to win the 6th Congressional District seat. DAVID LE/Staff photo. 11/4/14.